This New Tab is devoted to one of the greatest tennis players in history, Roger Federer. Roger Federer is a 36-year-old tennis player from Switzerland who is currently ranked world No. 2 (right after Rafael Nadal) in men’s singles tennis by the Association of Tennis Professionals. He was born on August 8th, 1981 in Switzerland and by the age of 11, he became one of his country’s top junior tennis players. In 1998 he turned pro, and with his victory at Wimbledon in 2003, he became the first Swiss man to win a Grand Slam singles title. 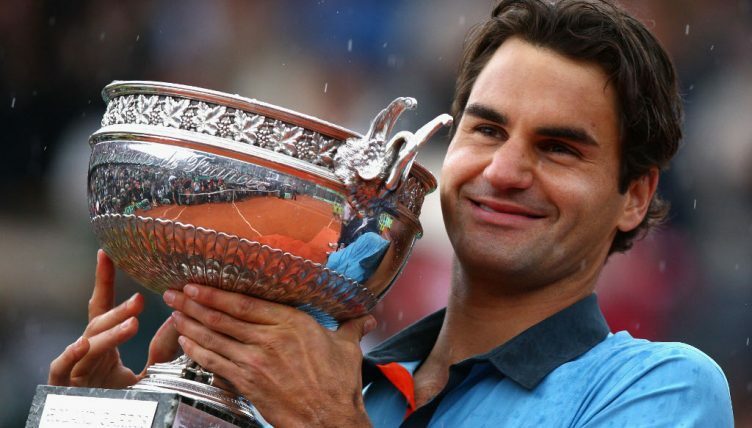 Federer has won a record-setting 20 Grand Slam singles championships. In July 2017, the tennis star won a record-breaking eighth Wimbledon title, at the age of 35. In 2013 Federer’s ranking dropped from No.2 to No.6 after he developed a back injury. The 2013 season was the first since 1999 in which Federer failed to reach a final in the first four months of the year. In 2003, the Roger Federer Foundation was established, with a focus on raising funds for early childhood education in southern Africa. Since that date, the foundation has raised more than $15 million. In 2009, Federer married Mirka Vavrinec, a former professional tennis player. The same year, they became parents to identical twin girls, Myla and Charlene. On May 6, 2014, the couple became parents for the second time and welcomed their second set of twins, boys Leo and Lenny. Federer lives with his family in Bottmingen, Switzerland. In 2015, Federer was deemed the world’s most marketable sports star by the London School of Marketing. His Estimated Net Worth is $450 million, according to Celebrity Net Worth and he earns up to $70 million per year. There is a street in Halle, where the Gerry Weber tournament is held, called Roger-Federer-Allee.